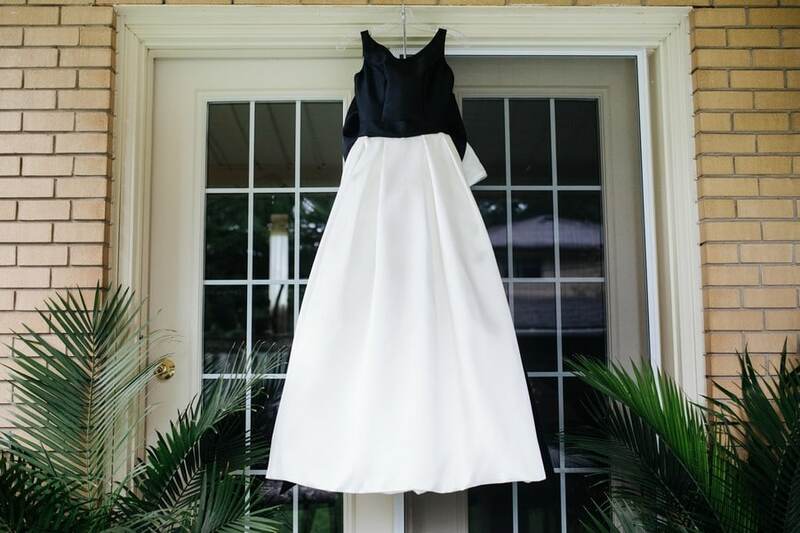 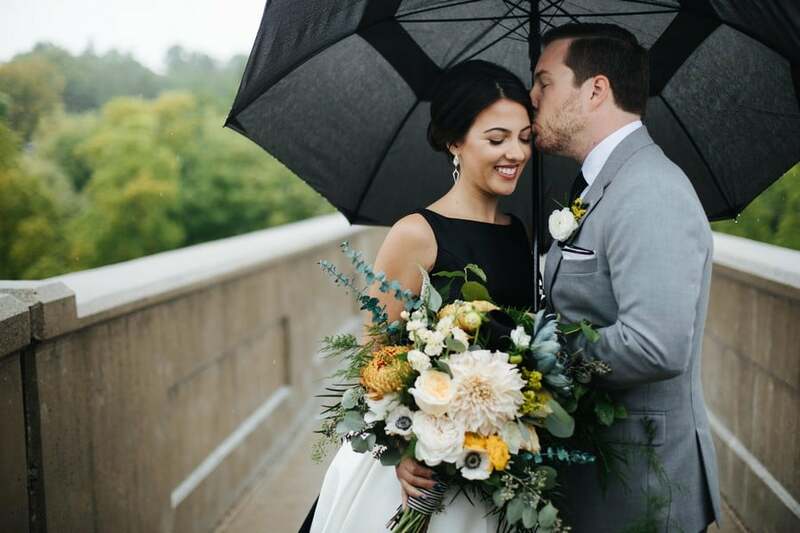 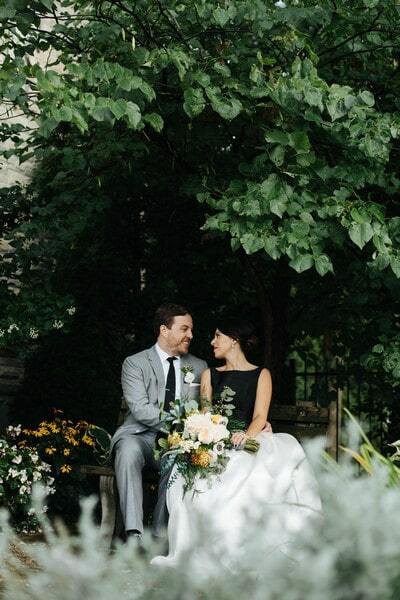 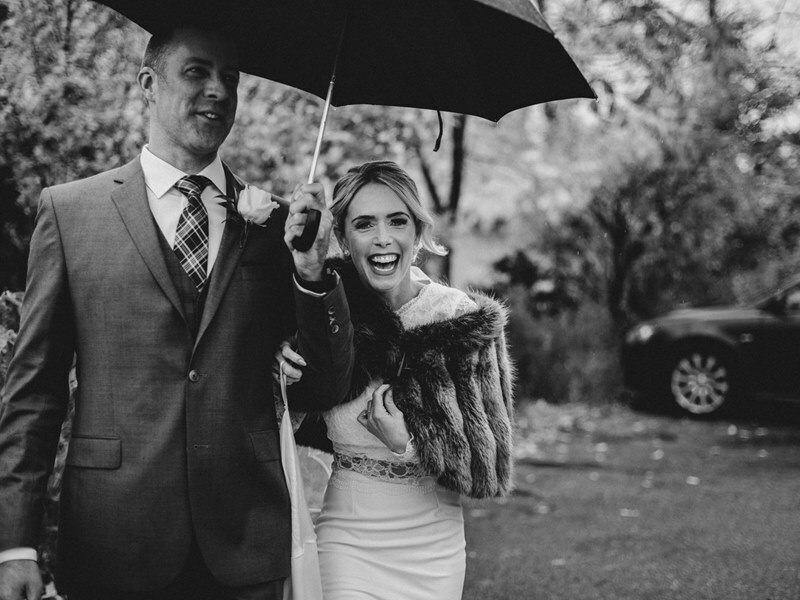 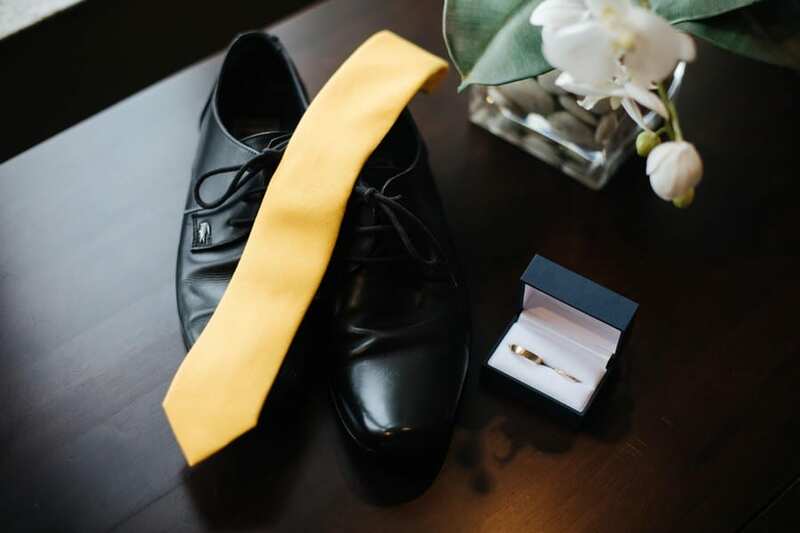 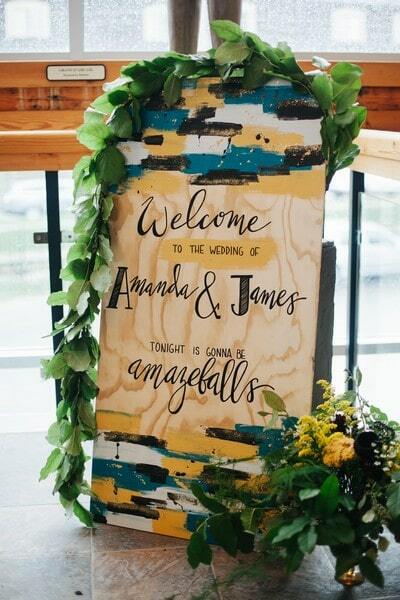 All weddings are the start of something special but for Amanda and James (who had been powering through a long distance relationship while James was living in Pennsylvania and Amanda was living in Toronto), their big day was a real celebration of the start of their lives actually together! 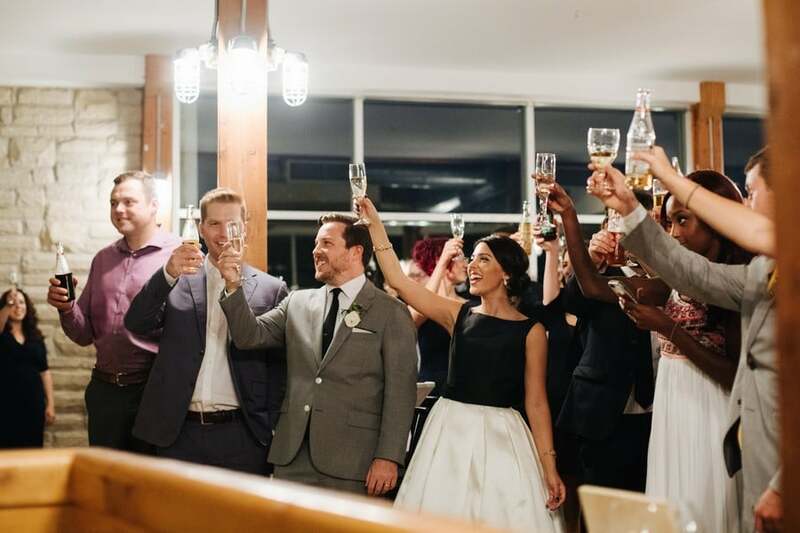 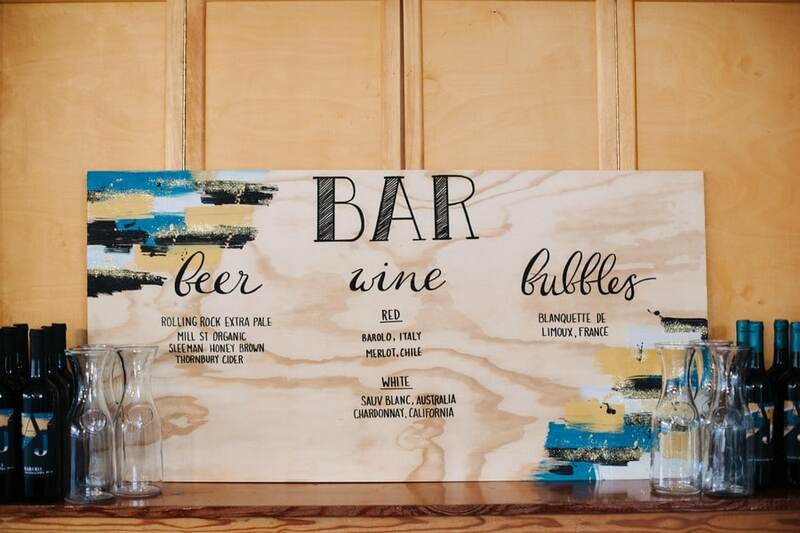 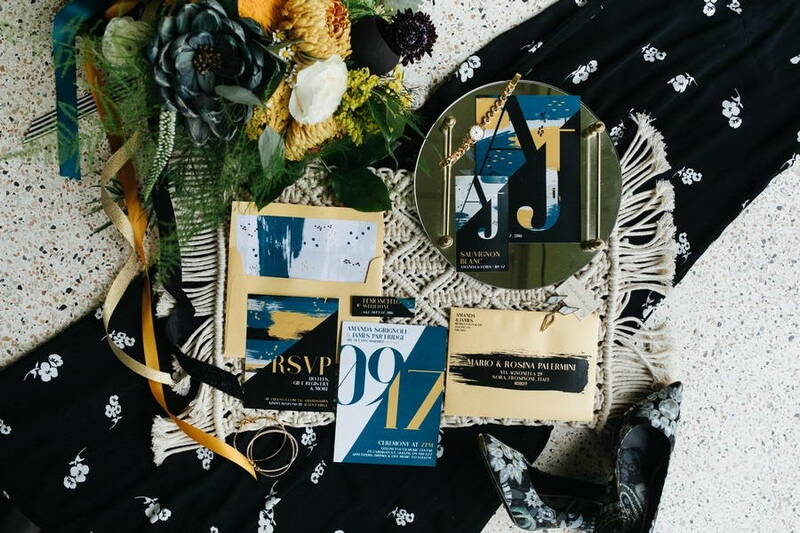 This couple’s vision for their big day was to have a cool, chic cocktail party that was inviting for their guests. 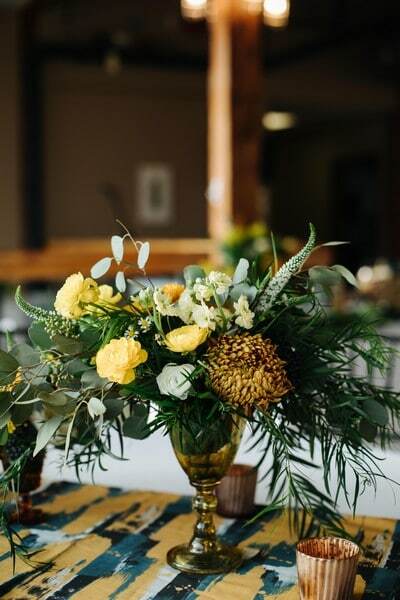 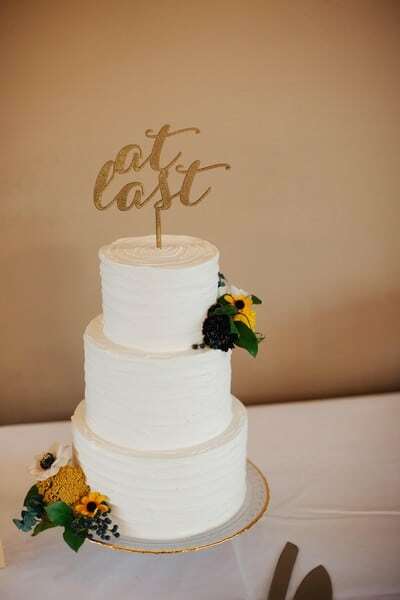 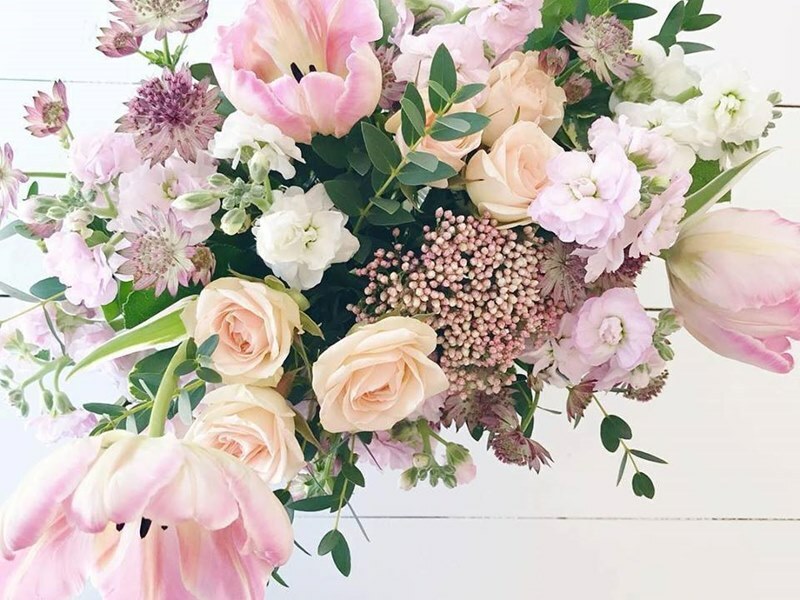 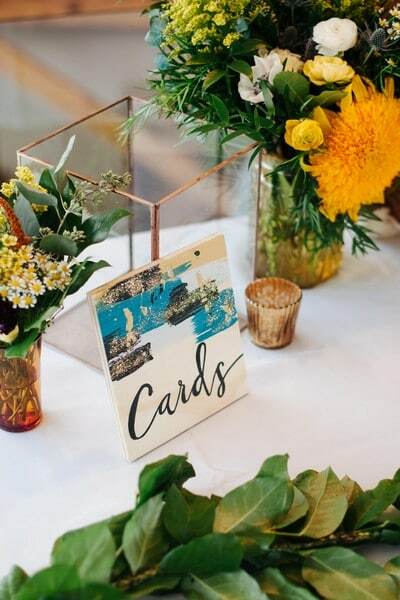 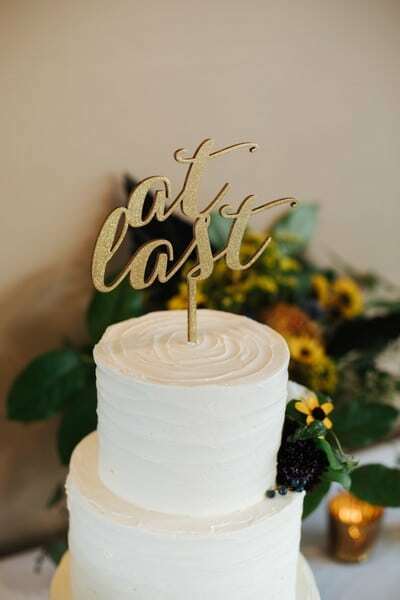 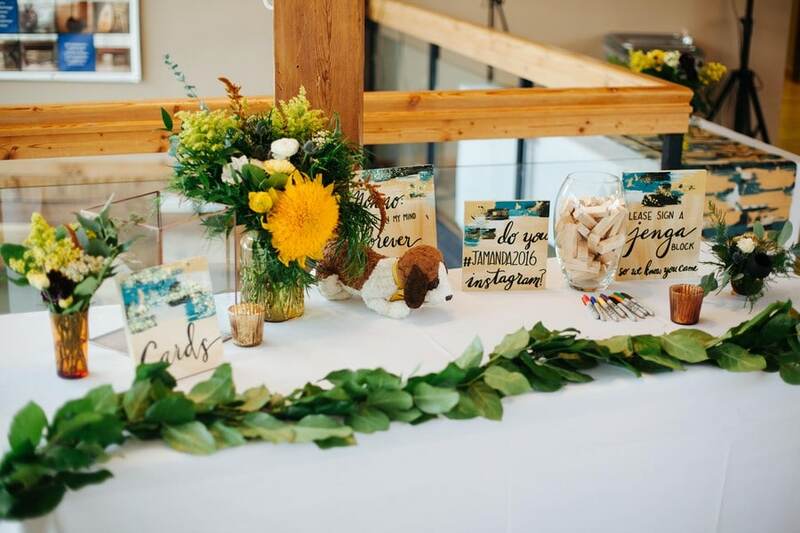 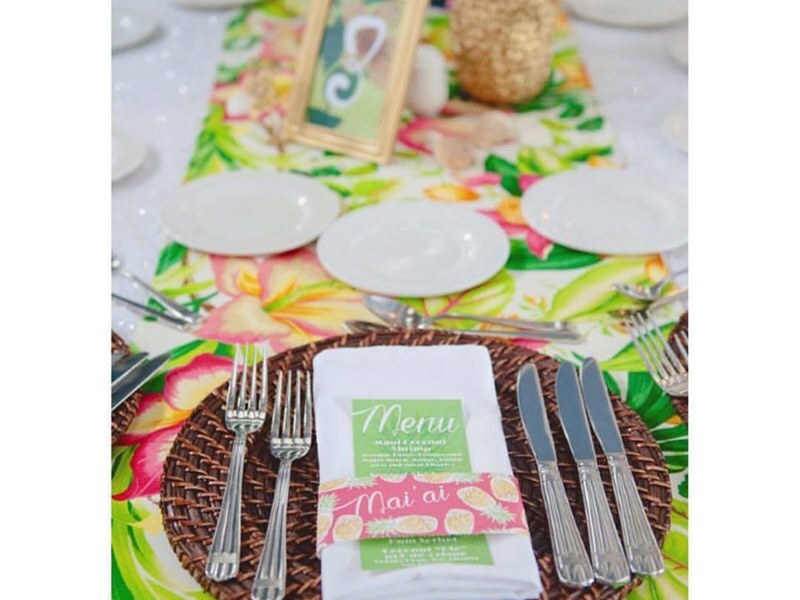 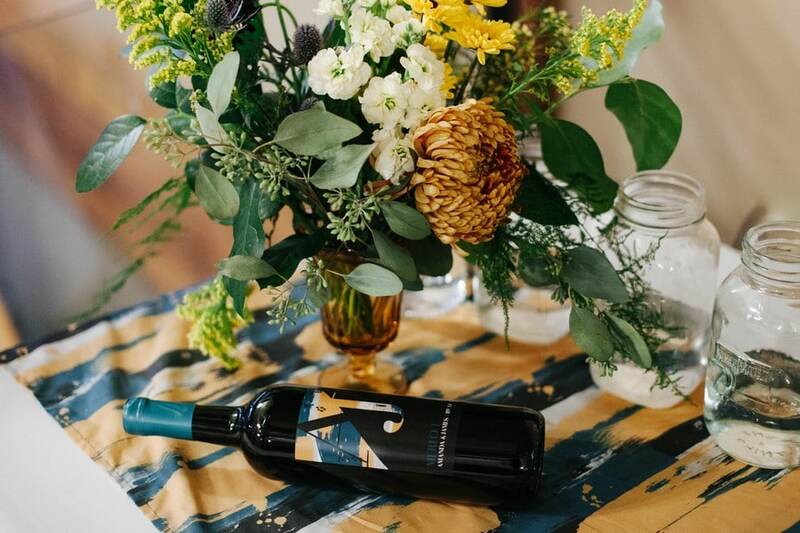 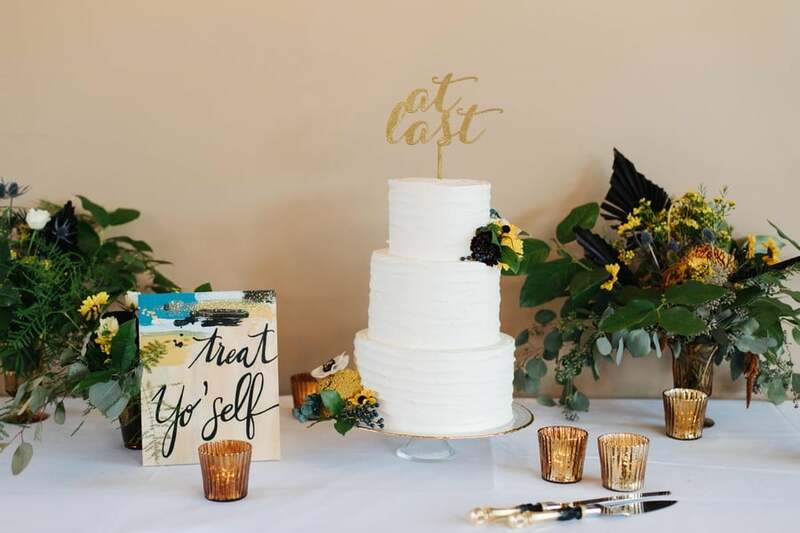 Amanda shares, “We wanted the decor to be aesthetically pleasing without being too floral or bubblegum bridal.” Luckily, they were in the right hands with the team at Love by Lynzie Events + Design (Lynzie just happened to be a bridesmaid as well). 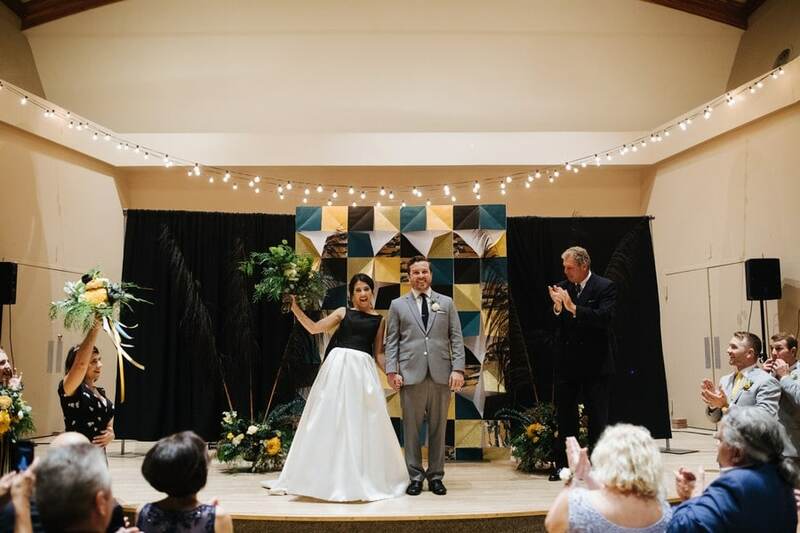 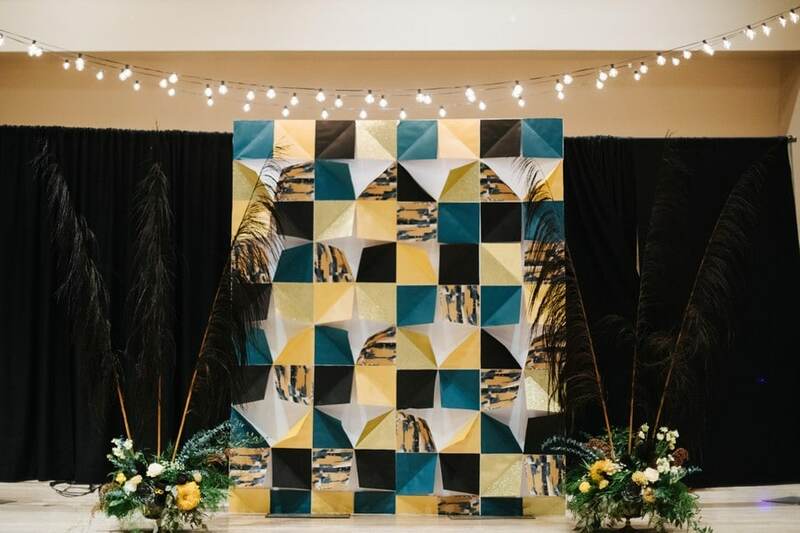 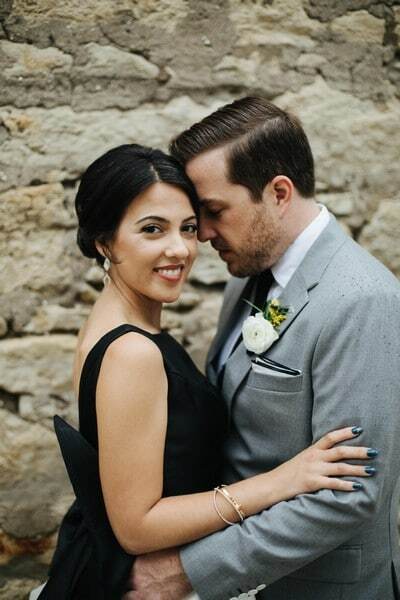 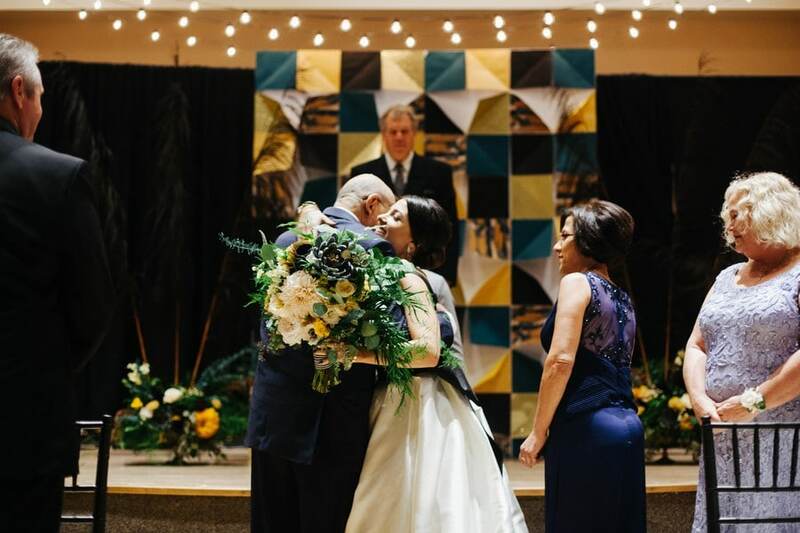 Blending bright and dark colours together with modern touches, Lynzie’s team helped this bride and groom turn the Guelph Youth Music Centre into the dazzling wedding of their dreams. 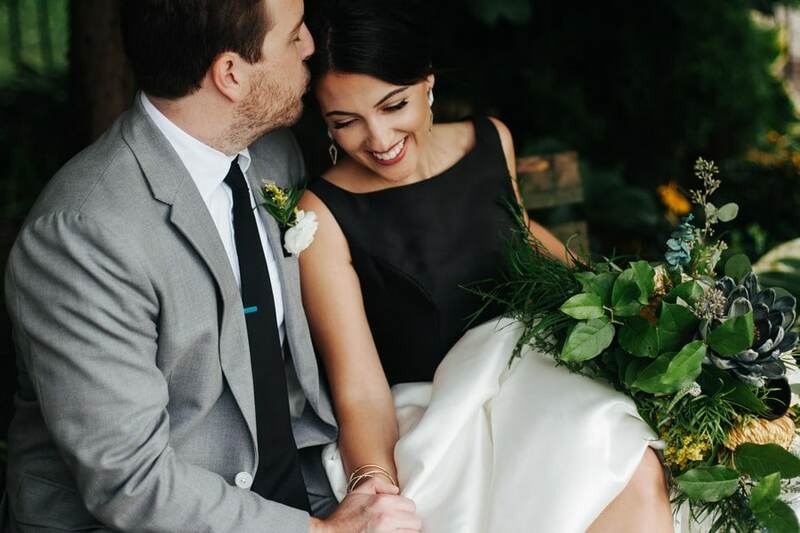 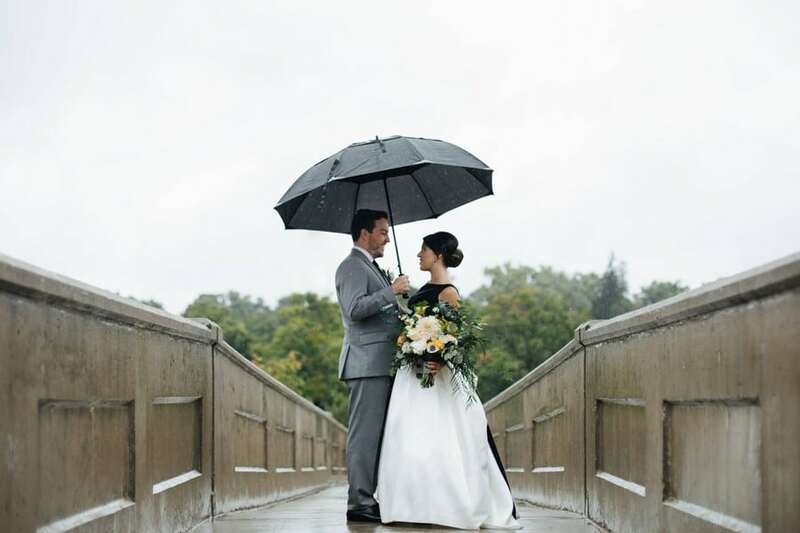 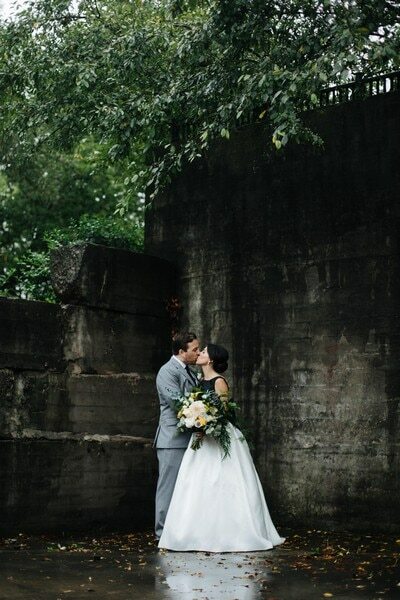 Thankfully, photographer Jennifer See Studios was on hand to capture every moment. 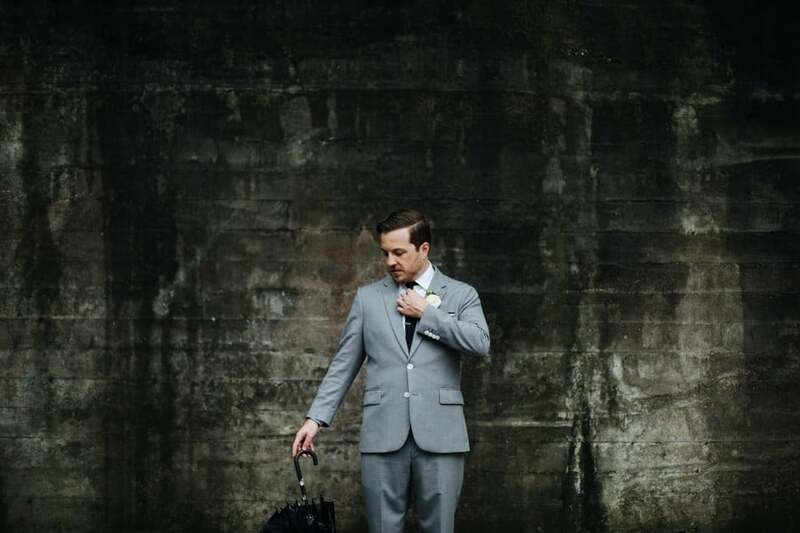 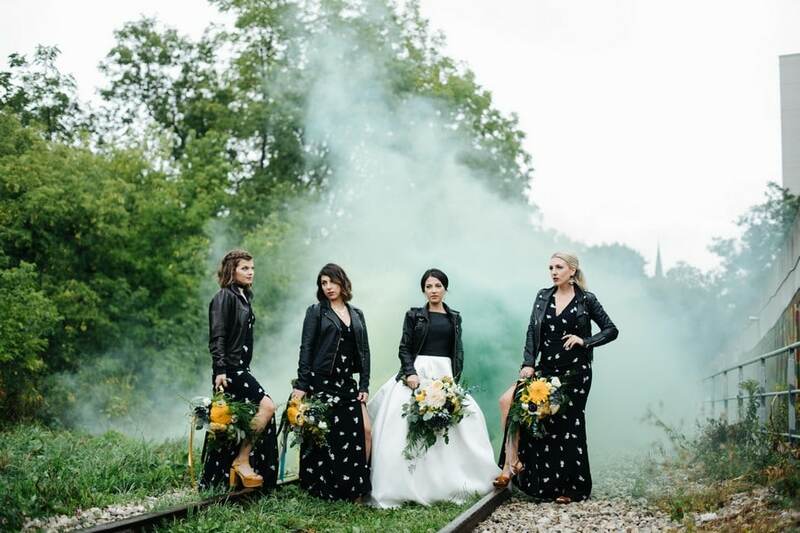 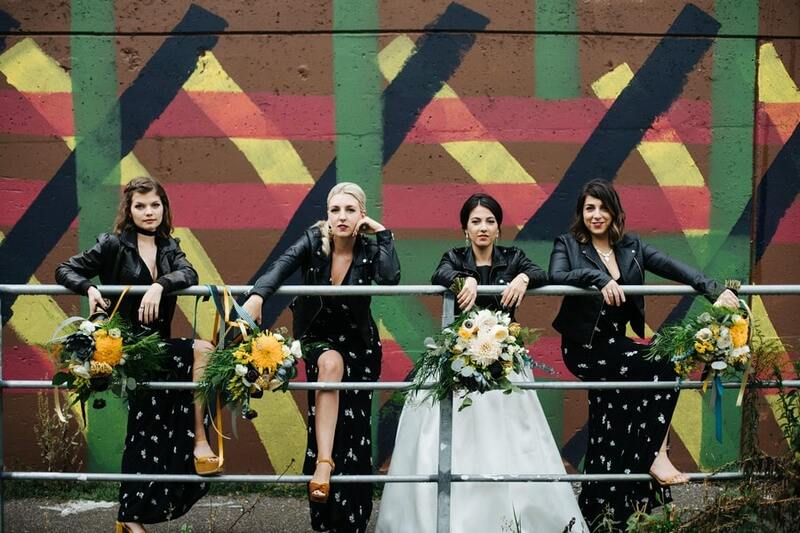 From pops of colour to cool leather jackets to breathtaking backdrops, the couple’s photo session was beyond picturesque — it was a work of art. 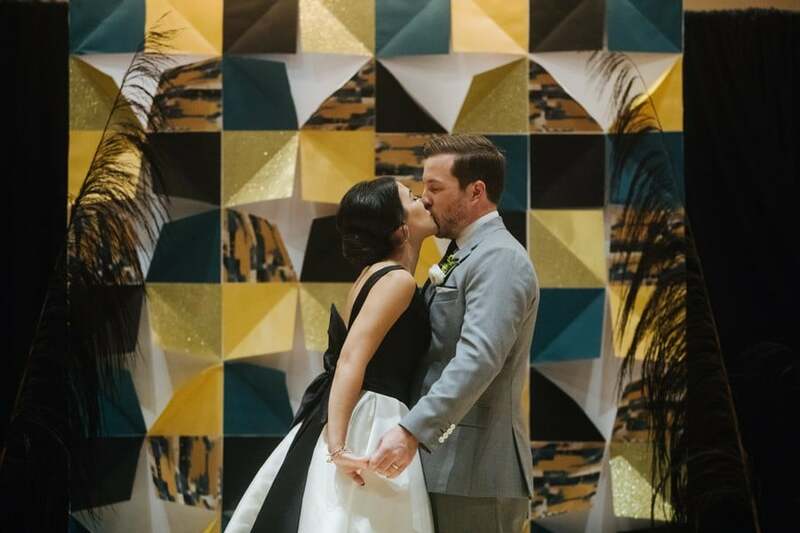 The intimate ceremony was highlighted by strings of light and a gorgeous mural — all reminiscent of the night’s modern theme. 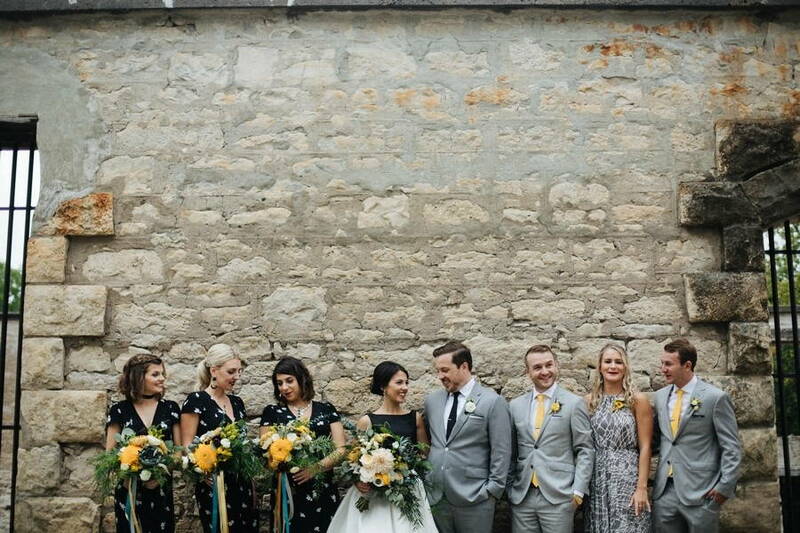 In tandem with their desired cocktail party theme, the newlyweds’ reception was not a formal sit down dinner. 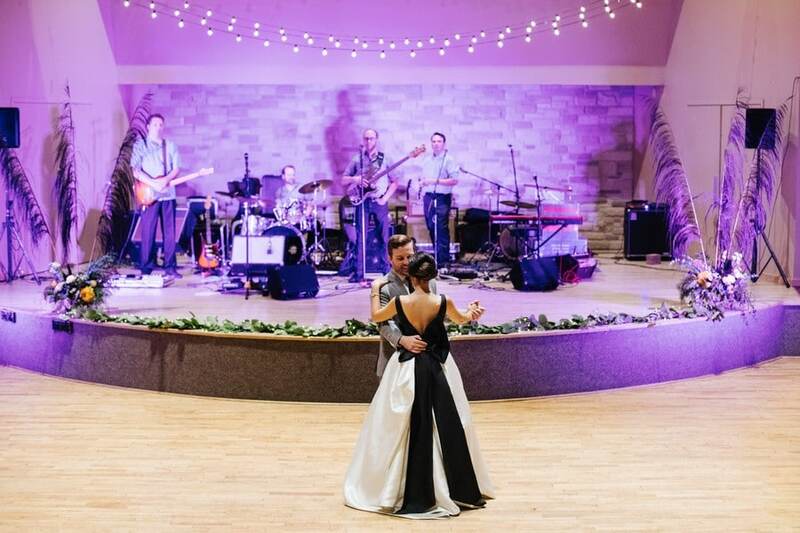 Instead, they used one of the venue‘s theatres for the ceremony and dancing. 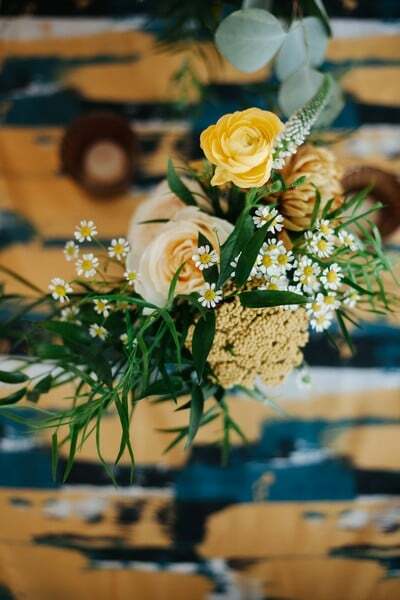 A smaller room, decorated with a jewelled tone palette of blues, greens and yellows, was used for mingling and the bar area. 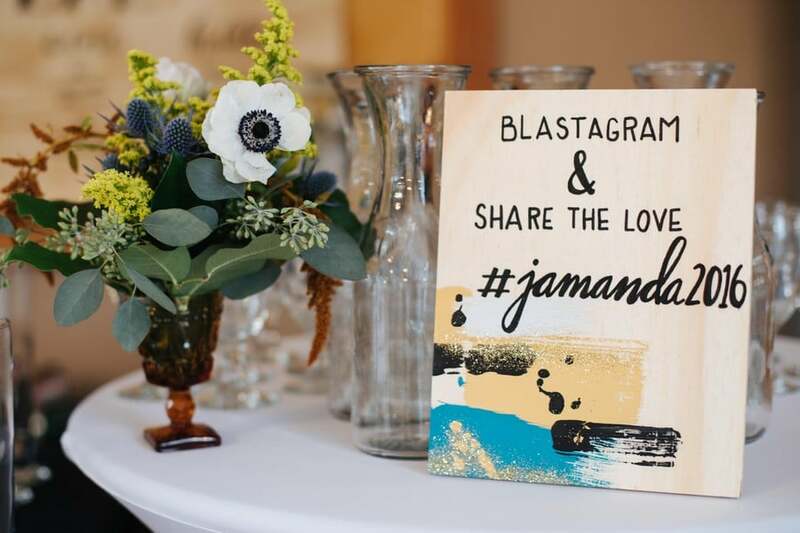 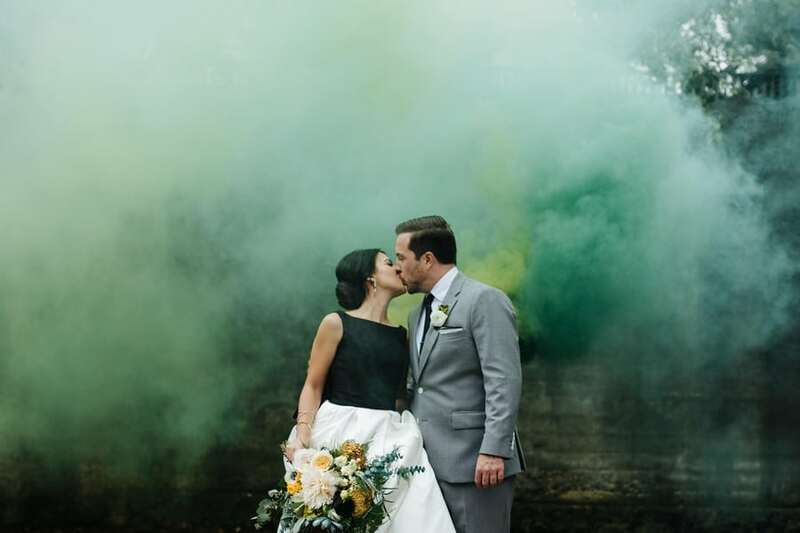 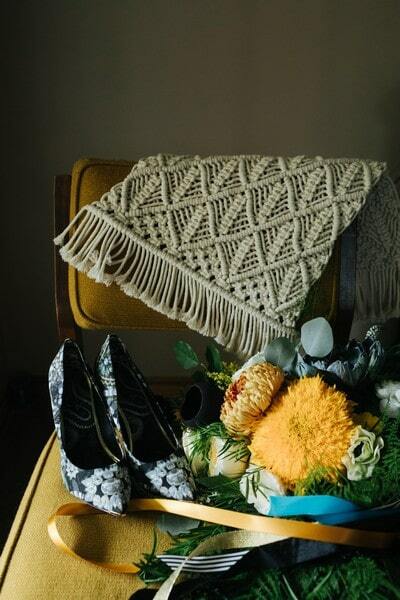 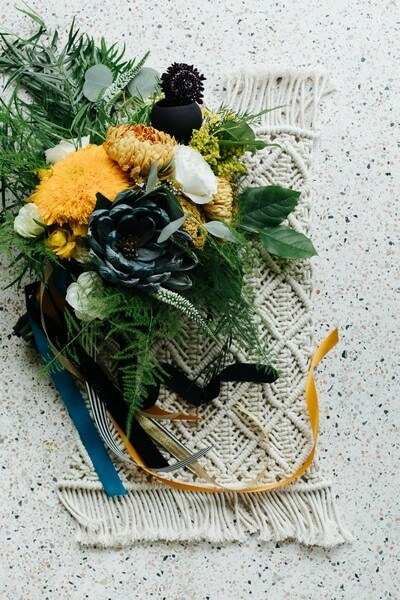 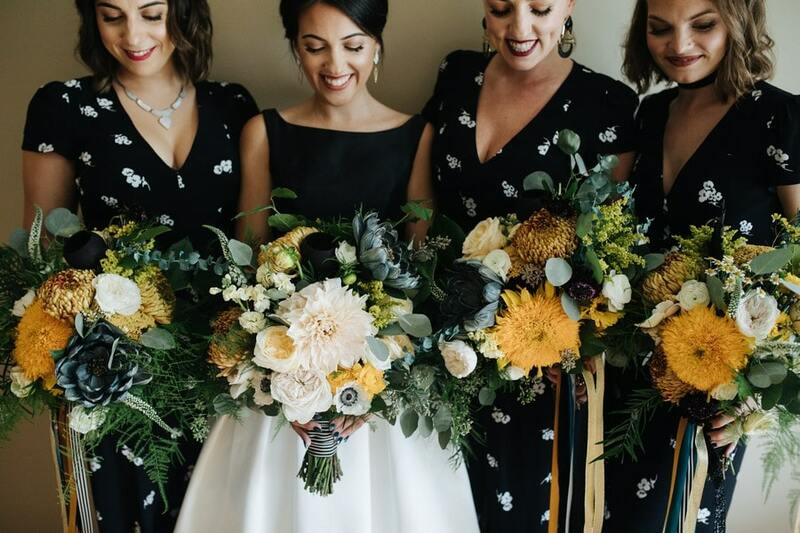 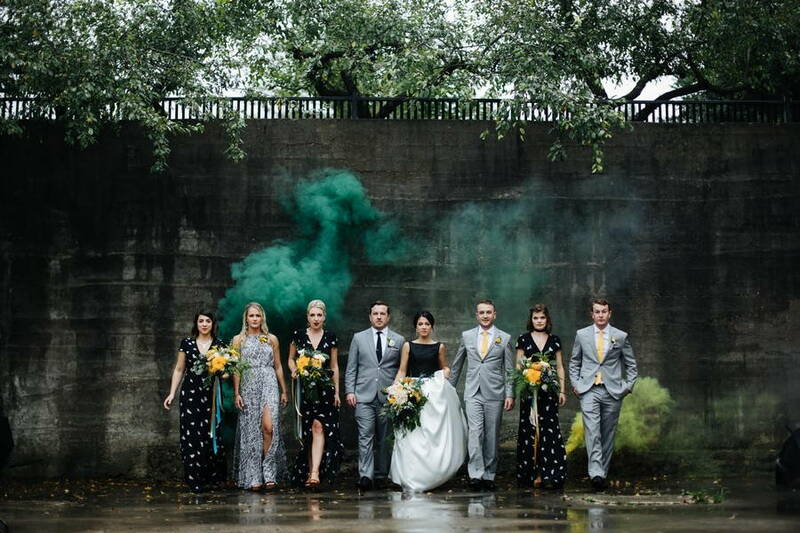 Bright blooms, vintage-like decor, and playful details, like the couple’s ‘Blastagram’, added to the magic of the festivities.